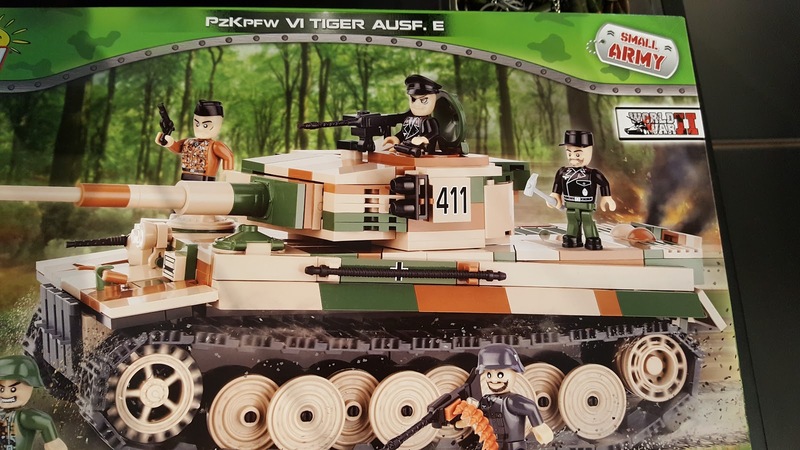 Lego knock-off Tiger 1E. Nice sinister eye patch Tank Commander! 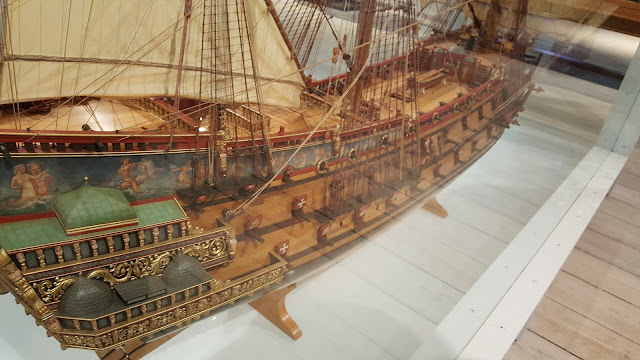 Lots of large ship models. 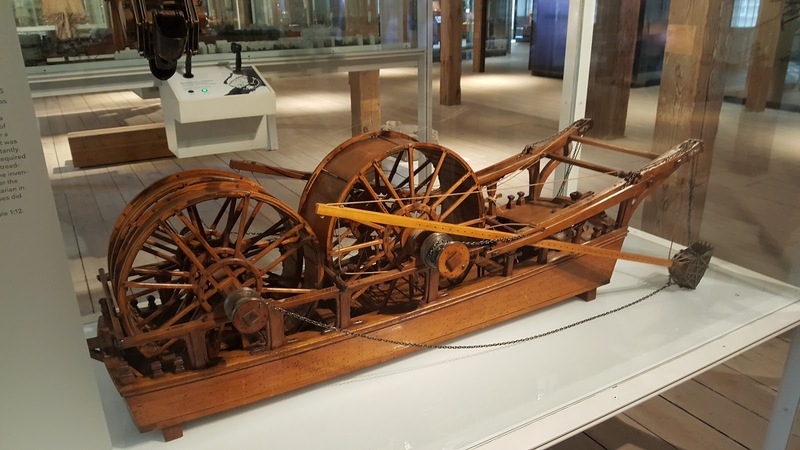 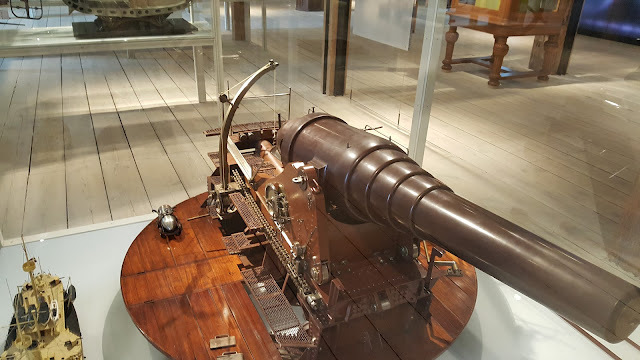 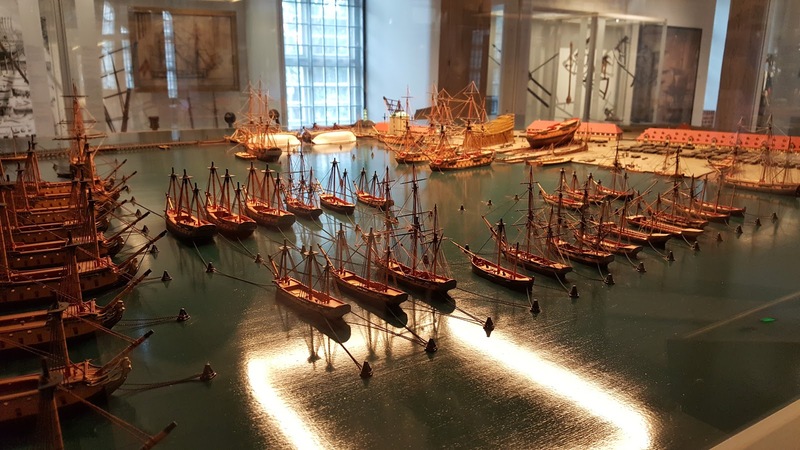 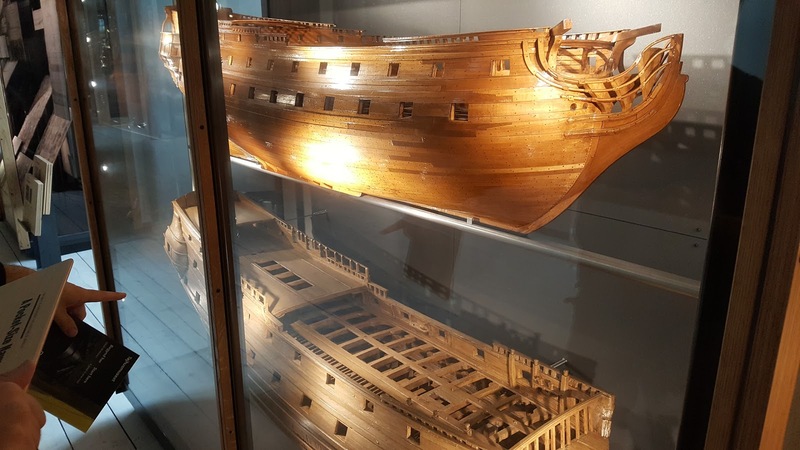 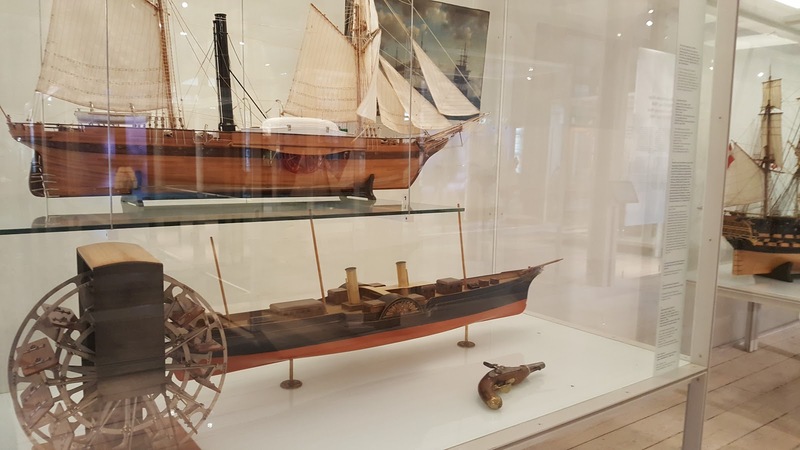 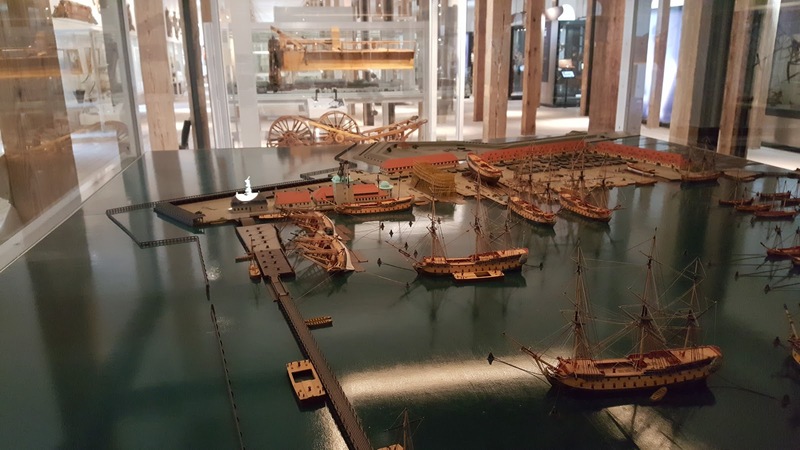 250 year old shipwright models. 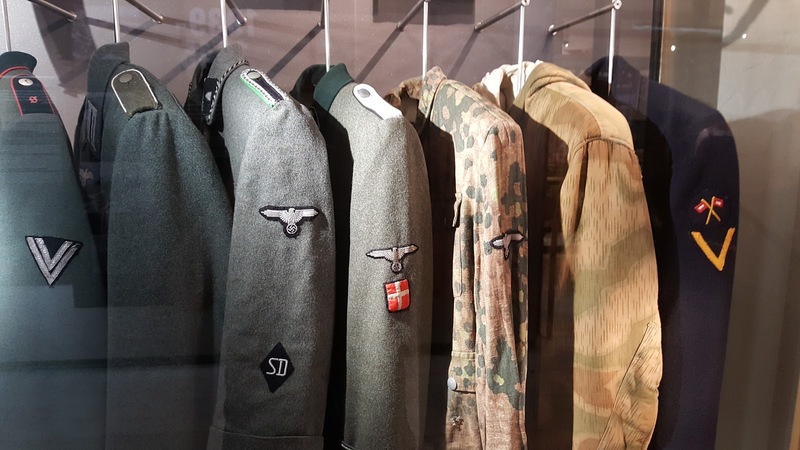 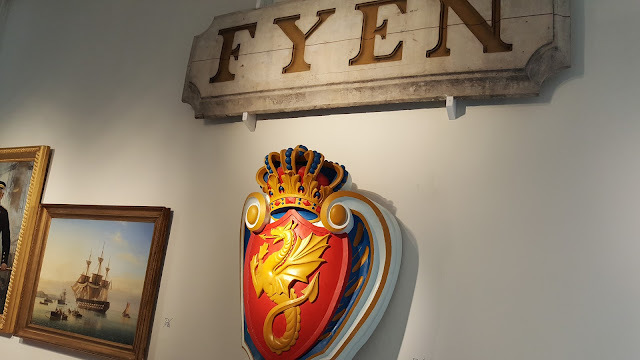 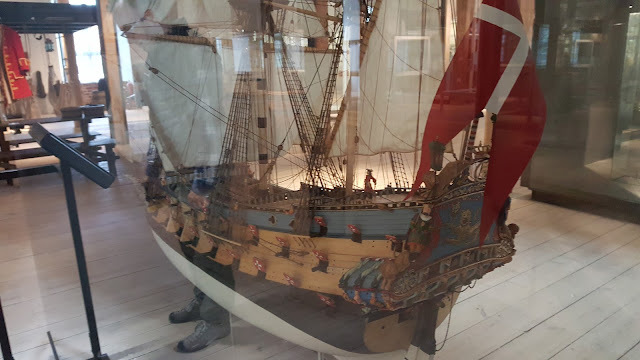 These were built first then the real thing patterned from these. 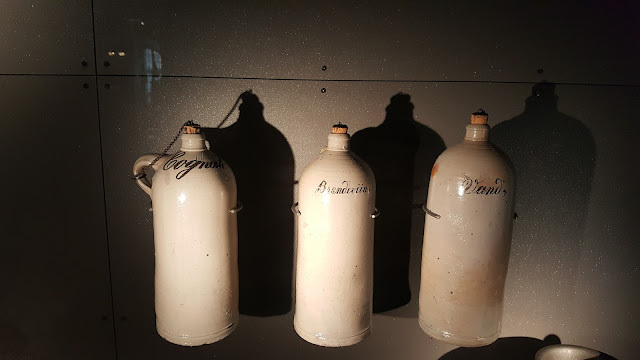 Cognac, Brandy and Wine. The important stuff! 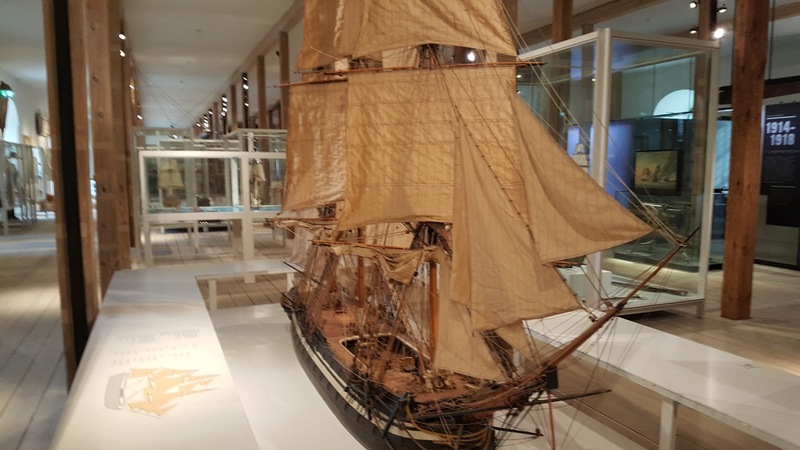 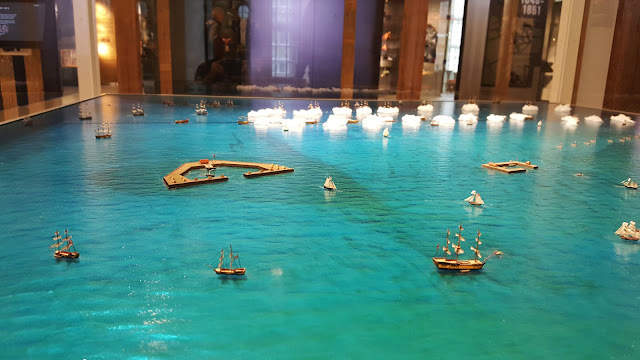 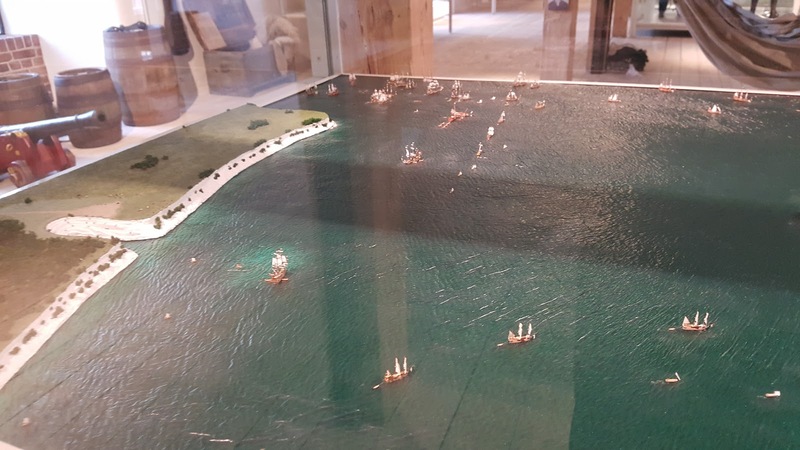 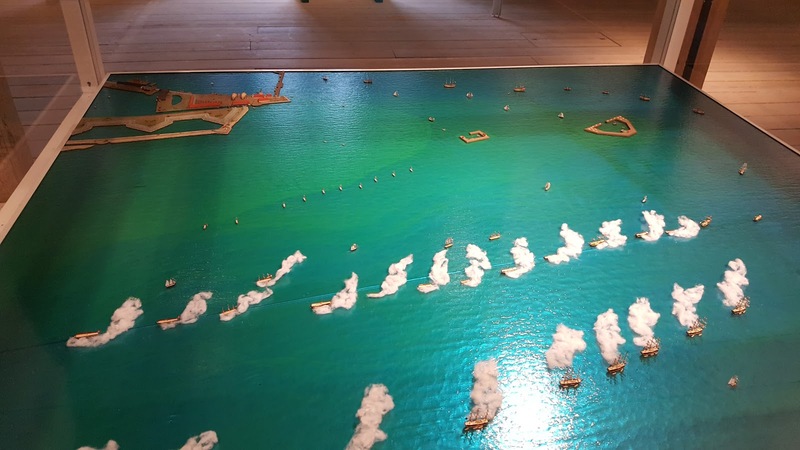 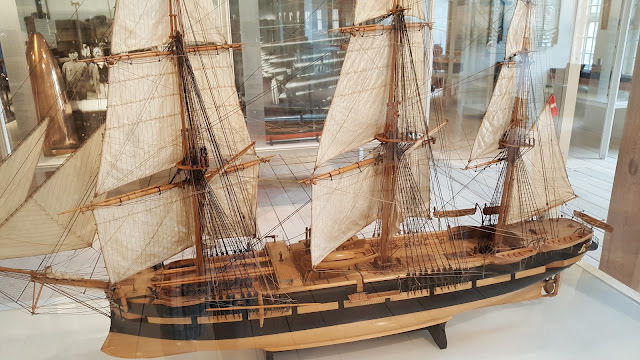 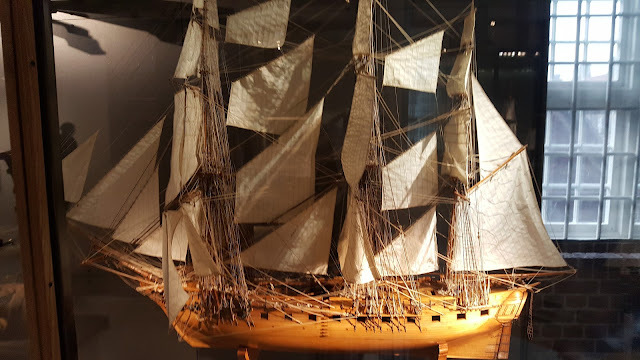 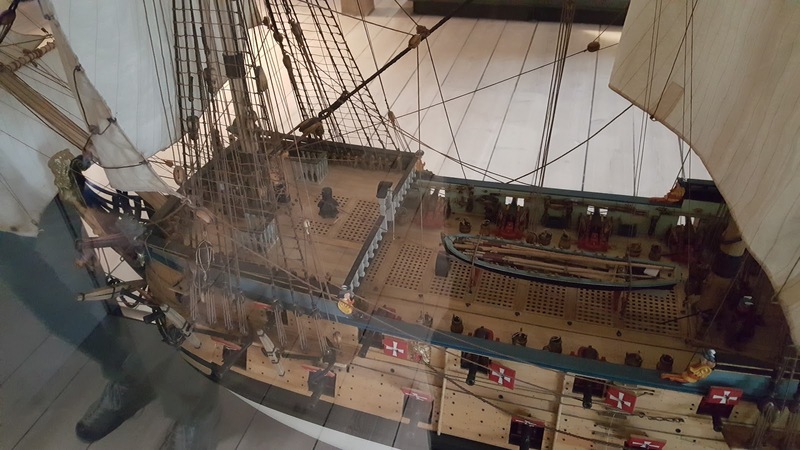 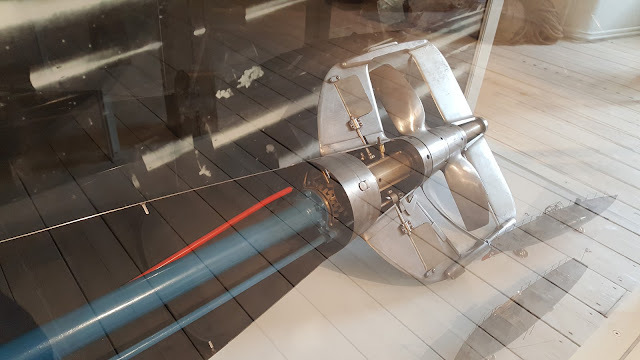 Largest model in the museum: this was about 10 feet high, and all the sails and rigging worked. 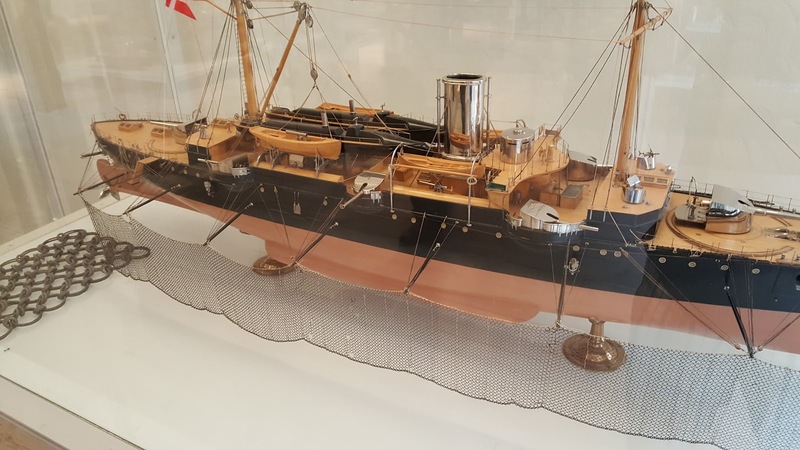 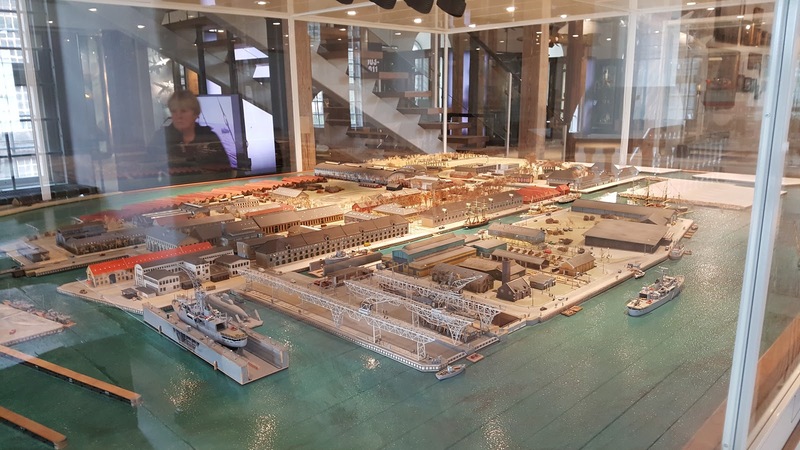 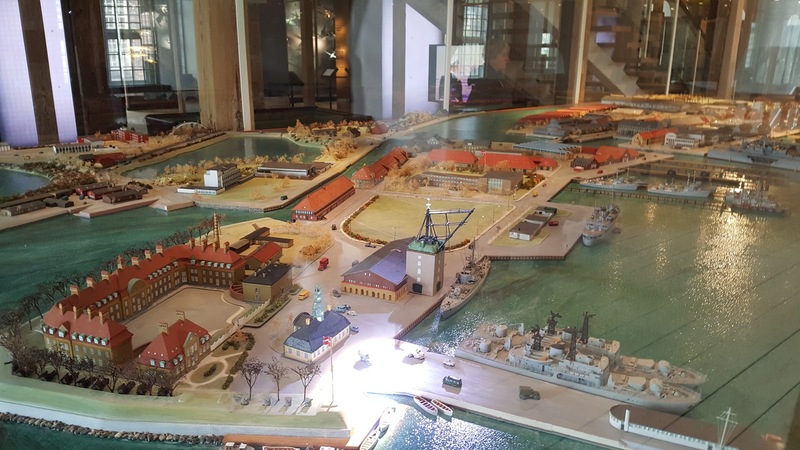 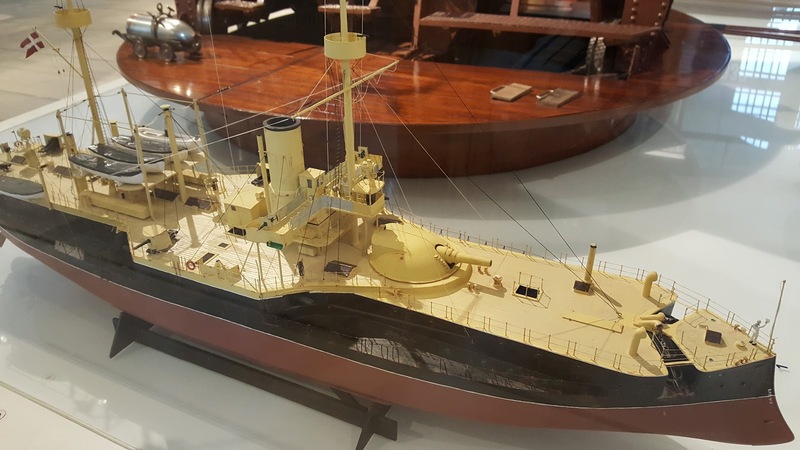 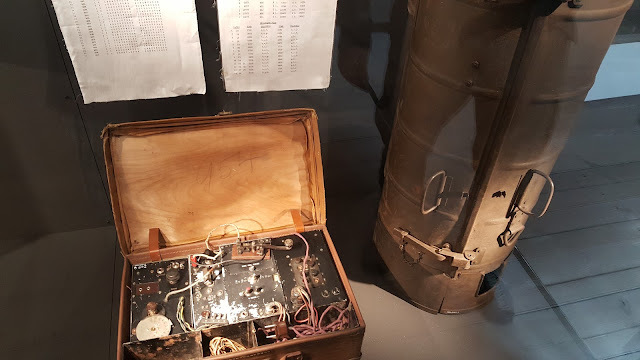 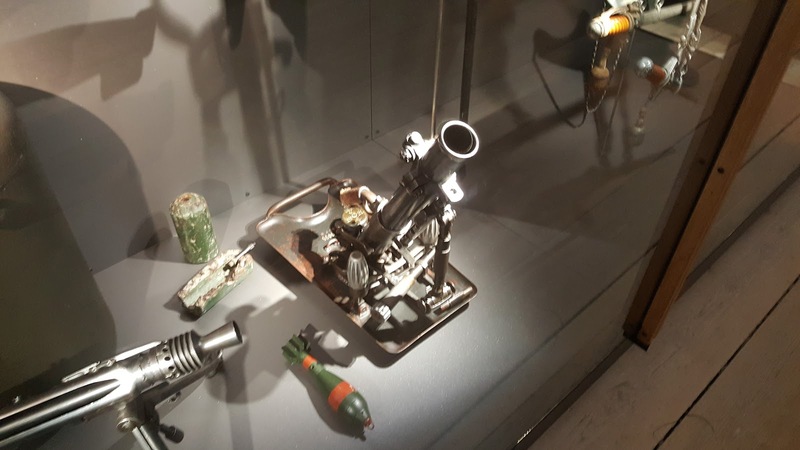 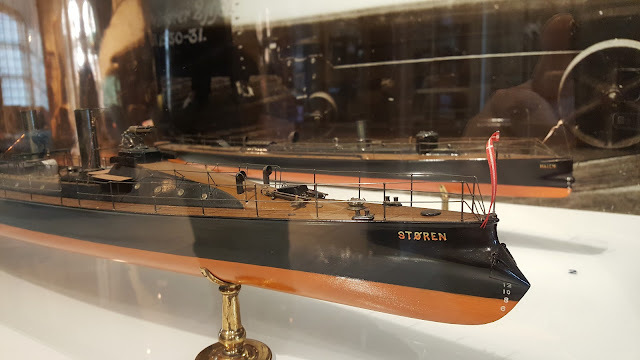 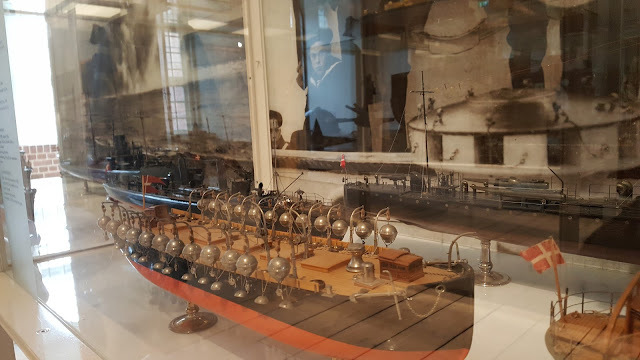 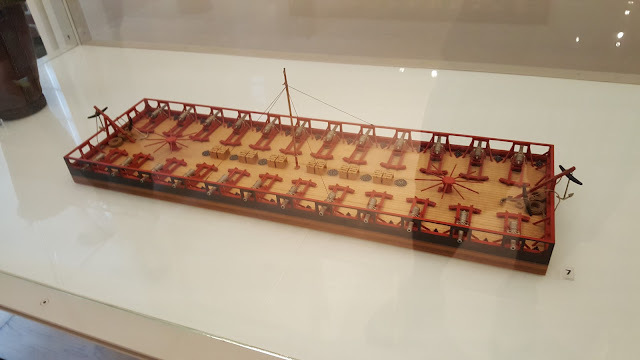 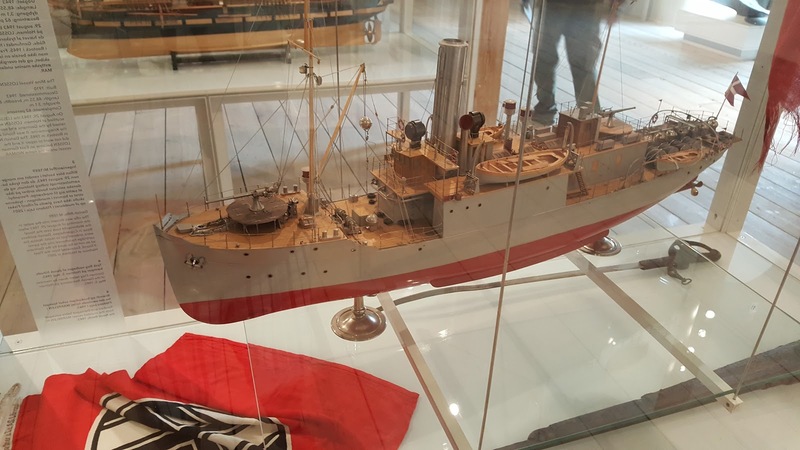 This model was used to train the seamen in how to do the rigging. 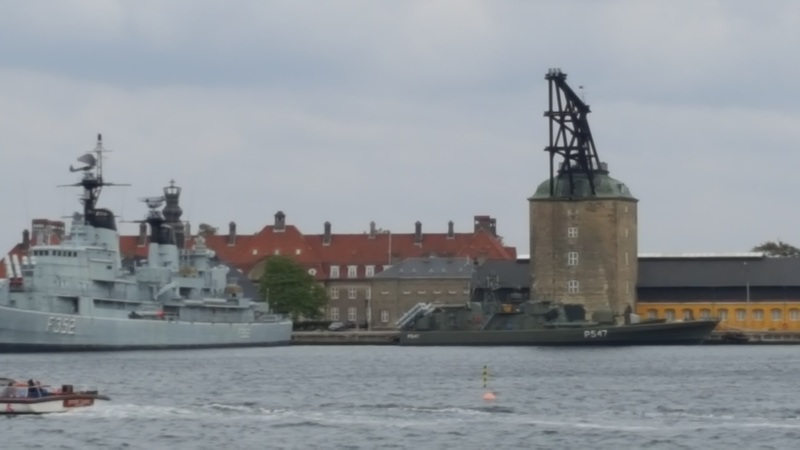 Just a barge with cannons all around, which would be towed and anchored in the harbor vs the Swedes or Nelson's fleet..
Dredger to clear the Copenhagen channel. 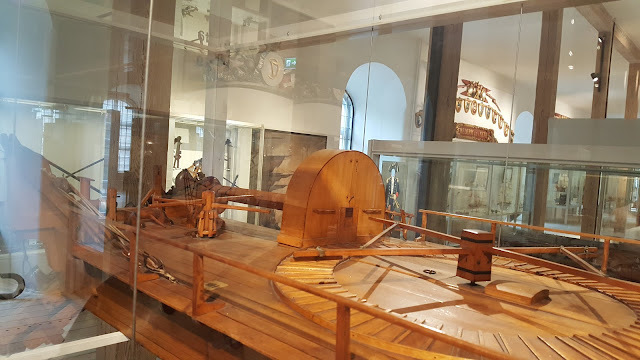 Prisoners were first used in the hamster wheels, and then horses. Another dredger, this time with a Conan-esque 'Wheel of Pain' way to get the buckets moving!! 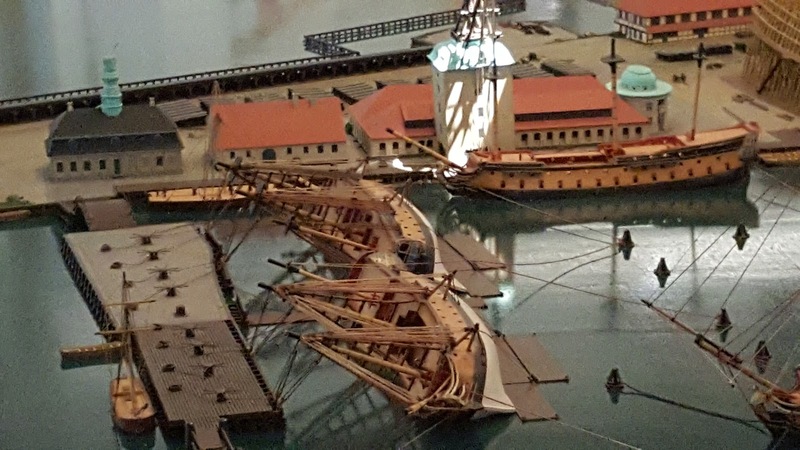 Tipped-over ships were to work on the keel and undersides. 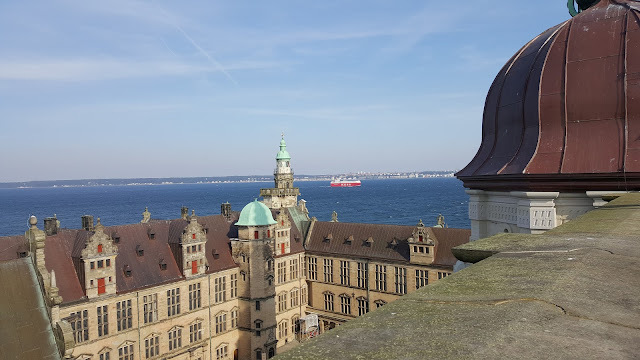 Yet again, that SAME CRANE tower. 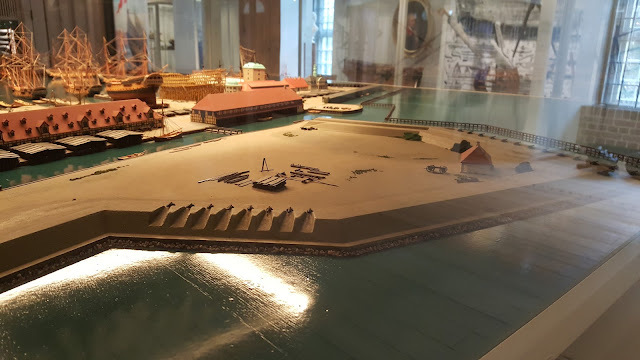 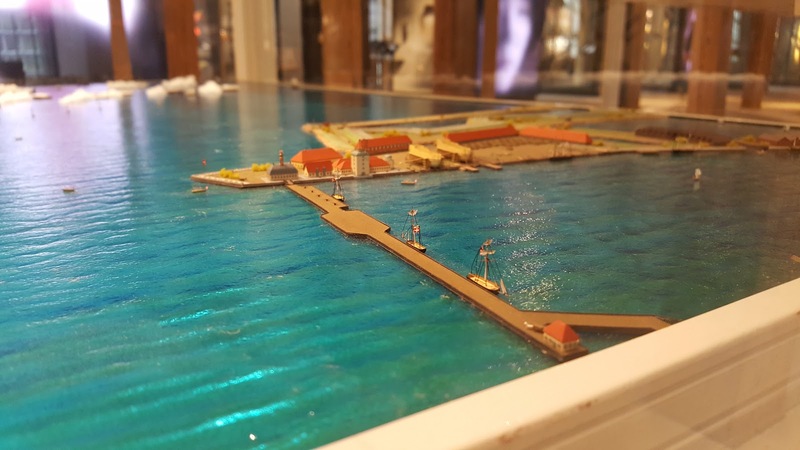 Model of the actual crane tower. 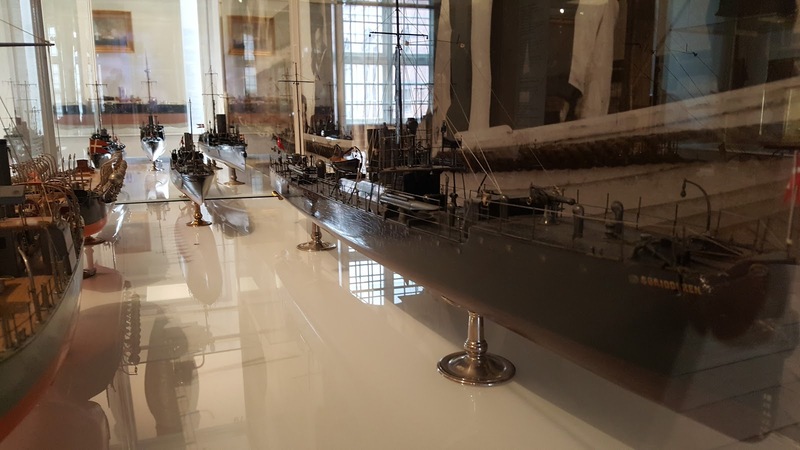 Turns out was used at first to install and remove main masts. This was the tallest building in Denmark for a long time. 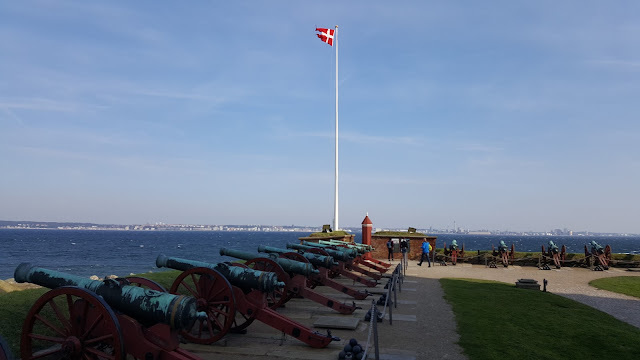 Tower and star defences, Swedish side. 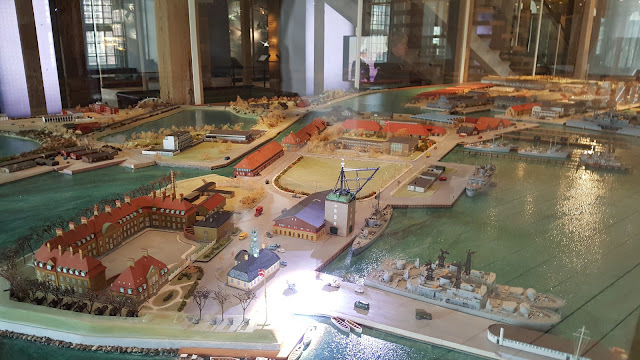 Now an industrial city has obliterated all this. 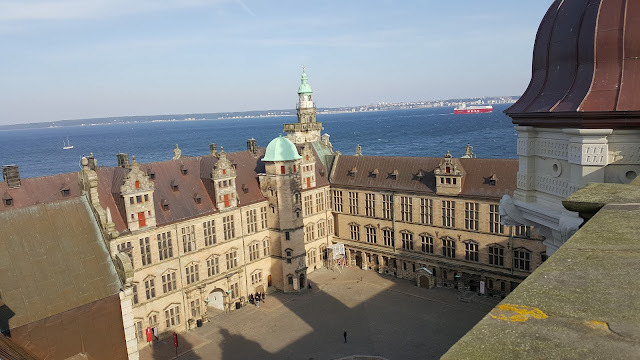 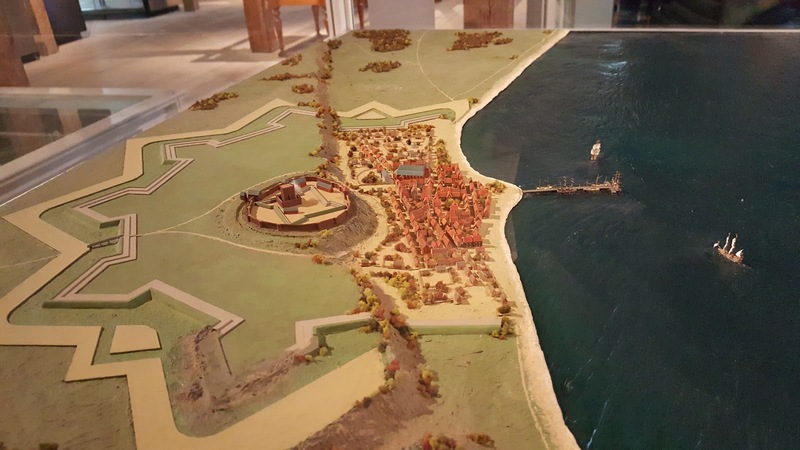 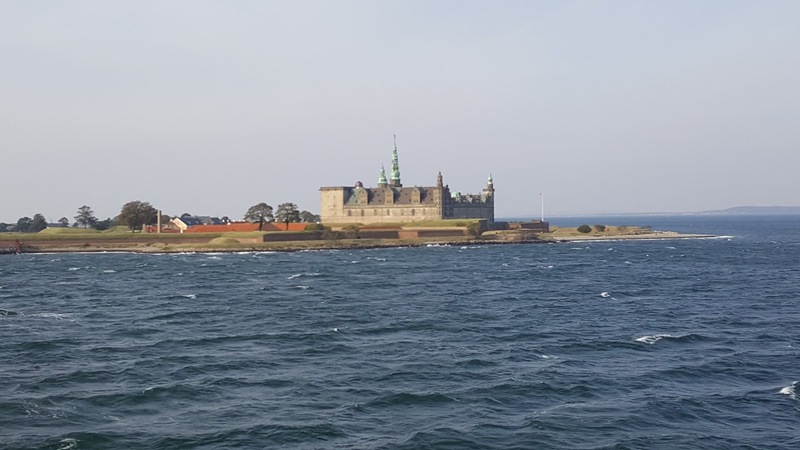 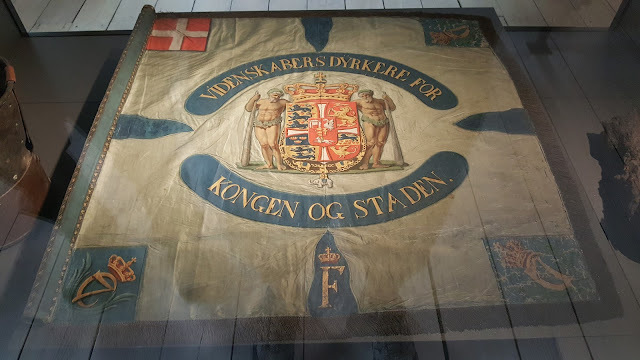 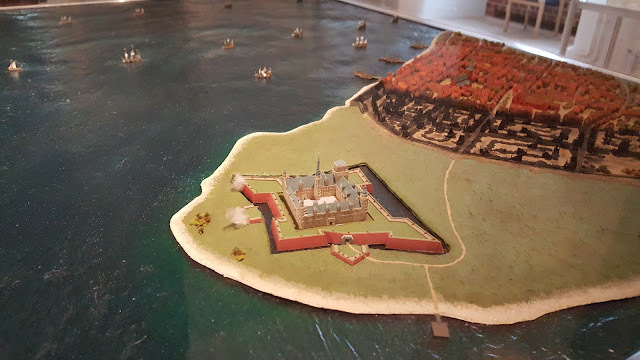 Danish side, Helsingor, Kronborg castle (and where MacBeth takes place) We would visit this the next day! 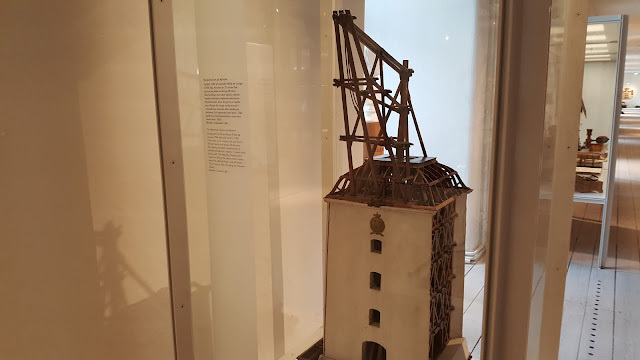 After seeing it 5 times in the museum, kinda had to take a pic of the Crane Tower, its still there!! 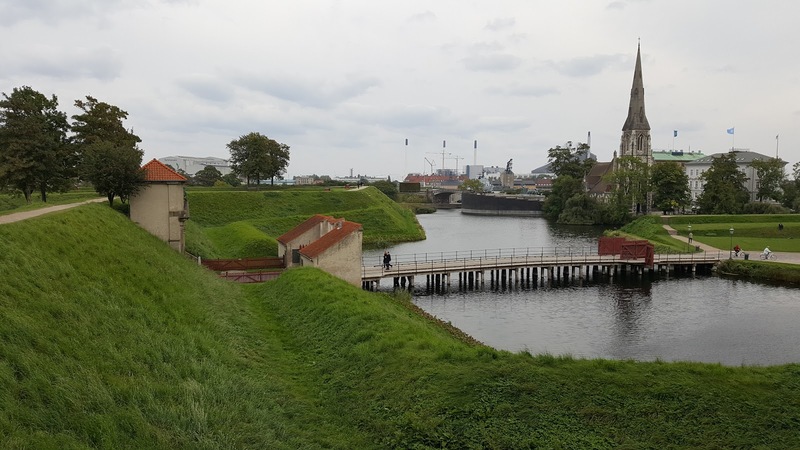 Kastellet (fortress in downtown Copenhagen, overlooking the naval area, and now in downtown CPH) Looking from the 2nd wall to the front gate and first bridge. Barracks from 1604 (still in use by some army cadets) behind the wall I was standing on from previous picture. 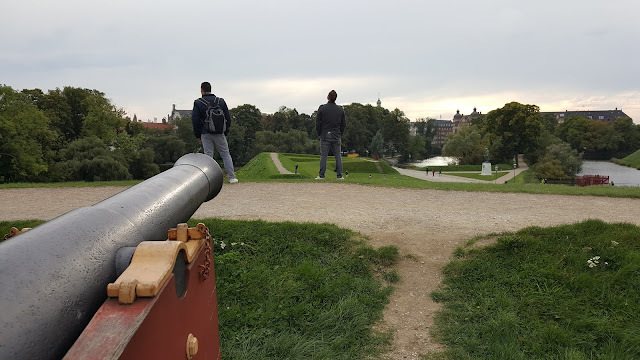 Cannon view of main gate approaches. 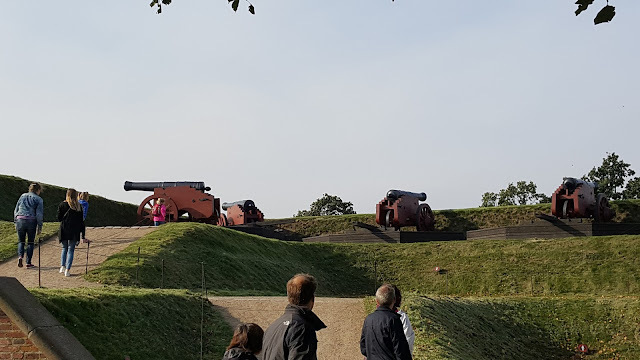 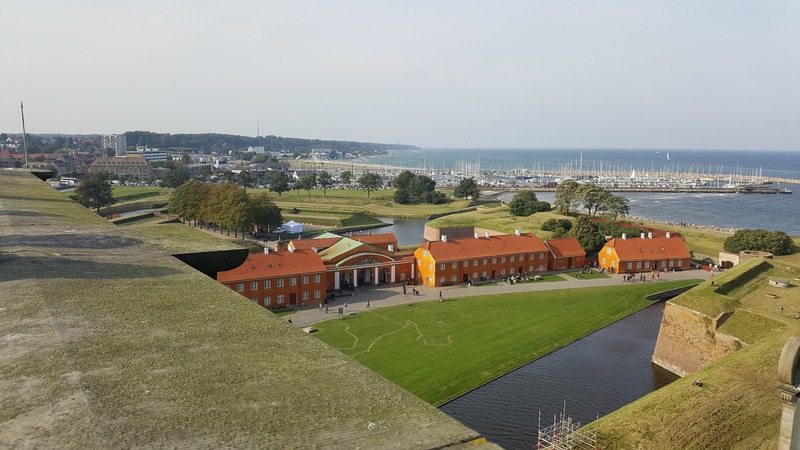 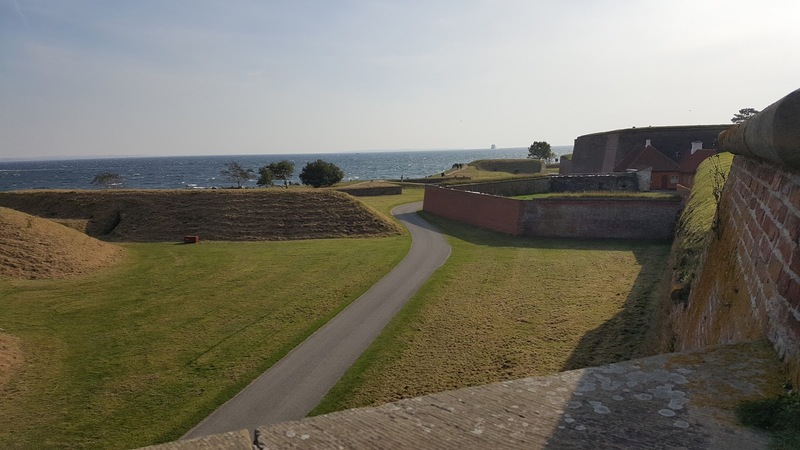 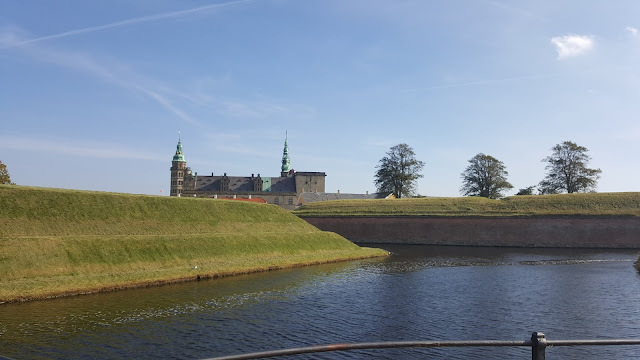 These 2 locals would JUST NOT LEAVE..
View from the cannon tower, Kronborg and inner support buildings, outer moat behind..
Sweden across the way. Ships would have to pay Sound Dues or be fired upon. 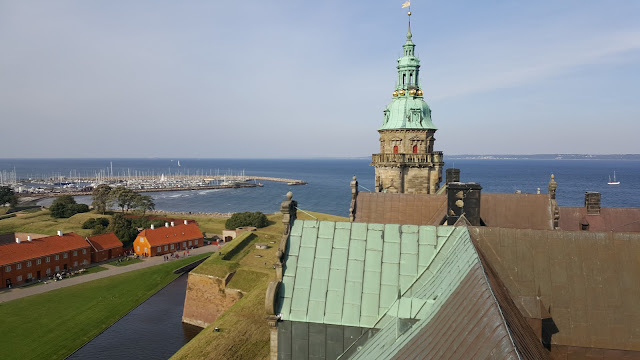 Christian IV was shocked later that a bunch of countries were tired of paying and attacked! 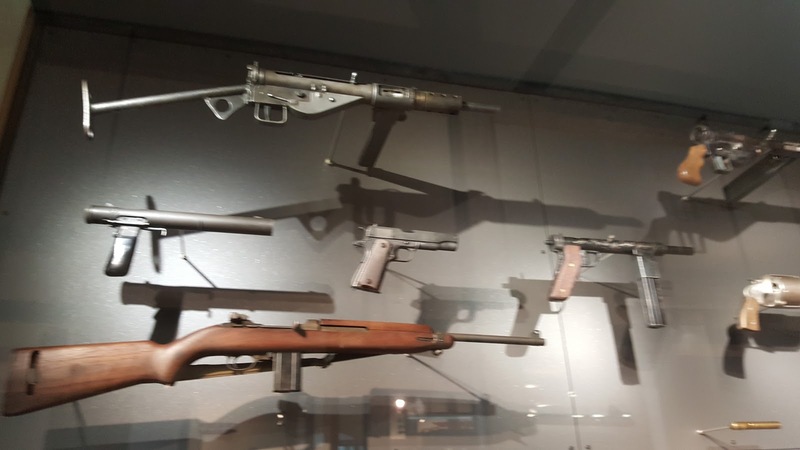 How dare they! 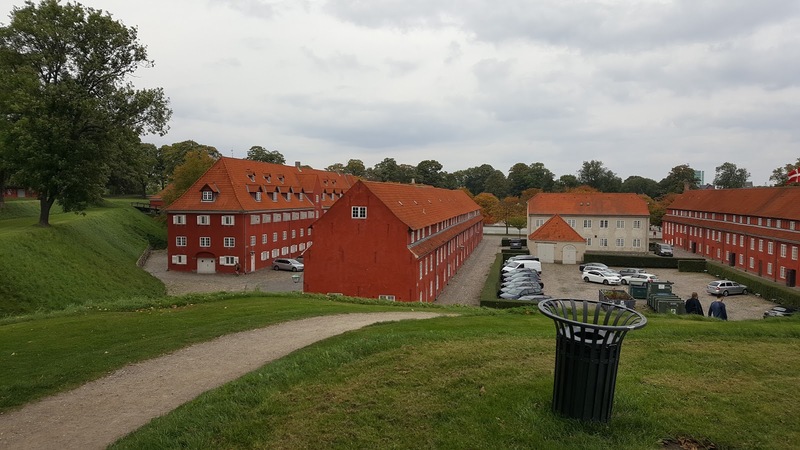 Helsinborg on the other side, that little tower is still there but its hidden by all the industrial stuff. Main cannon battery facing the entrance to the sound.